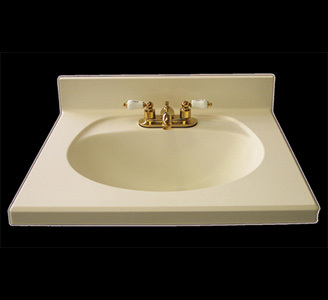 We offer a full line of alumina trihydrate solid surface filler systems. The Dense Fill series offers excellent stain resistance, easy wet-out and excellent air release properties. These products are easy to pigment, allowing the creation of a wide range of colors for custom applications. As in all ATH materials, meeting Class I flame and smoke requirements is an added benefit. The basic equipment needed for solid surface manufacturing includes a vacuum mixer or continuous casting machine with a densifier, appropriate molds, a table sander, and necessary saws and routers. For additional information, please see our paper entitled Solid Surface Manufacturing. 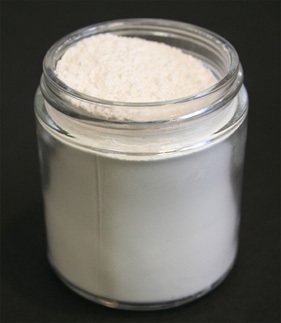 R.J. Marshall also offers WHITE Alumina Trihydrate for Cultured Onyx manufacturing with Onyx Fill.